Amiga Engineering is the only privately owned commercial service facility for Metal 3D printing in Australia. 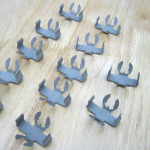 Other companies do offer the service, however our company prints and manufactures in-house in our location in Victoria. 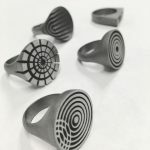 Metal 3D printing holds the ability to allow freedom in design, thus creating part geometries previously deemed difficult, even impossible, to manufacture using tradition machining and casting methods. 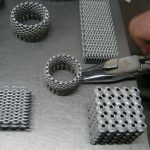 It is not limited to just creating new designs, but has the capability to develop these parts overnight, as opposed to a matter of days, sometimes weeks. It is a vital and important revolution in manufacturing to a high quality and to the time frames that exist with these needs. This ultra-fast process allows designers and engineers to test and develop parts much faster. With this insight and experience, Amiga Engineering have invested in two industrial grade Metal 3D printers capable of making parts of 275 x 275 x 420mm, and one SLM280. The printers are located in a modern state of the art facility wit the vision of being able to provide services to almost any industry. Amiga have not stopped here, have also invested in post processing equipment such as, but not limited to, heat treating and polishing machinery. This ensures the team at Amiga continue to deliver a product meeting and exceeding the highest of standards and expectations. Additionally one SLM280H Industrial printer with a printing bed of 280 x 280 x 350mm has also been implemented into our Metal 3D printing facility. Metal 3D/Amiga Engineering is located at 9-11 Silicon Place, Tullamarine Victoria. Michael Bourchier – Founder and Managing Director of Amiga Engineering Pty Ltd and Metal 3D Printing Facility – elected as an advisory Committee Member for the Additive Manufacturing Hub. Concentrating the company’s efforts in the area of conventional and CNC machining, Amiga Engineering™ carefully, and with much thought and research, realised the industry called for the company to invest in new, state of the art technology. Owner and founder of Amiga Engineering™ Pty Ltd, General Manager, Michael Bourchier, has expertly pushed the company right to the centre of cutting edge technology. The company is now proud to be Australia’s first metal additive manufacturing bureau. Being the only one of its kind, Amiga Engineering now offers the latest in 3D metal printing technology to Australian companies. 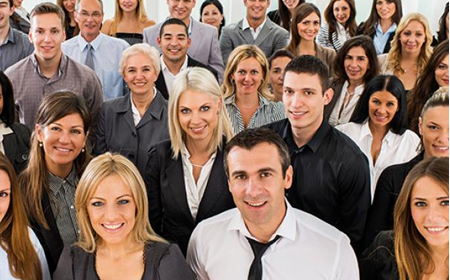 The technology is available to new and existing clients. 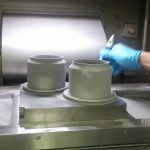 The company now has the additive manufacturing facilities to allow its clients to develop new components far exceeding the realm of conventional manufacturing. Amiga Engineering™ is the sole manufacturers world-wide of genuine “Genat and Wood™” branded inline helical gearboxes, variable speed drives and gearbox parts. The company prides itself in offering the most extensive range of Australian Made inline helical drives. Amiga Engineering™ focuses on quality and longevity, which the flexibility of design enables the gearmotor to fit any given application. By incorporating standard metric flange mount motors in the Genat and Wood™ design, enabling its use in almost any application also permit the flexibility of fitting alternative client specified motor brands. The quick change of flanges allows down time to be kept to a minimum and fitment to be made easier. Robust traditional design and high tolerance manufacturing allow Genat and Wood™ gearboxes to outlast and outperform many competitors in the harshest of conditions; making Amiga Engineering™ the number one choice of gearbox in harsh Australian conditions. The Genat and Wood™ design calls for maximum versatility, maximum strength and extreme simplicity of operation. Versatility plays a large role in product supply and demand, which is supported by Amiga Engineering™ being the Australian agents for the Italian brands of industrial drives; “Varmec” and “Tramec”. This provides competitive pricing versus other imported units and brands. It also offers a larger variety of applications. Amiga Engineering™ Pty Ltd prides itself on quick turnaround for breakdown and emergency situations. With manufacturing and the sales office located in Tullamarine, Victoria, Amiga Engineering™ is perfectly situated, being only minutes away from air, road and sea transport. 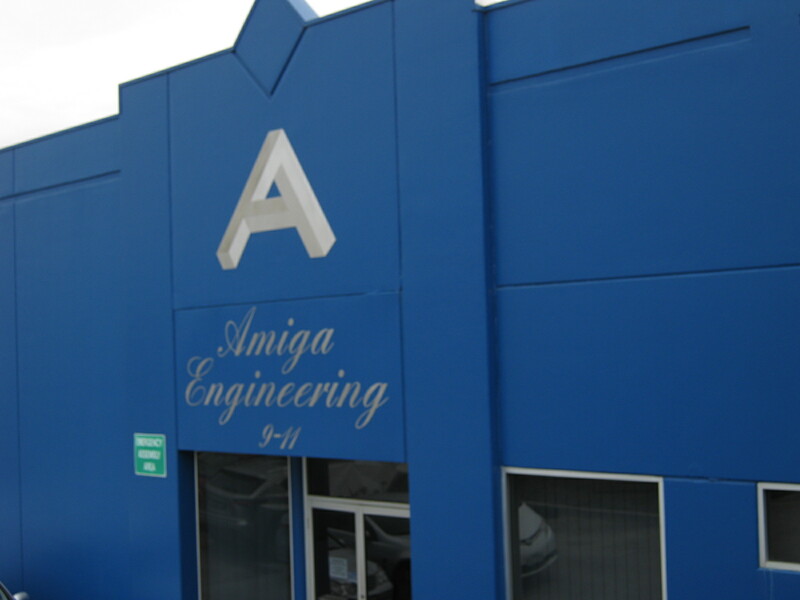 Amiga Engineering™ are the specialists for pipe fittings and flanges, manufacturing for and servicing the industry since establishment in 1988. Primarily as an outlet for custom machining. The company has grown to become a successful, reliable and reputable engineering company for the Oil & Gas, Mining, Petrochemical, marine, Defence and medicinal industries. 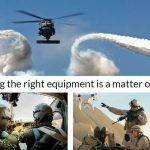 Amiga Engineering™ has been known for the ability of machining/manufacturing one-off custom products and have provided manufactured products for corporations, such as the ASC, DSTO, Boeing Aerospace Support, Textron Systems, SUEZ and many more. Amiga’s fittings, flanges and other products can be found on almost every platform or refinery across Australia. Australia’s only privately owned commercial service facility for Metal 3D Printing – servicing all industries, proudly manufacturing components from a range of metals including, but not limited to, Aluminium, Titanium, Stainless Steel and Inconel. Copyright © 2018. 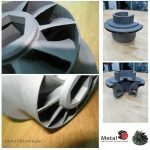 Metal 3D Printing. All Rights Reserved.